Setting up an OpenLDAP server on Debian Wheezy. ldapsearch – search for and display entries. ldapmodify – modify an entry. ldapadd – add a new entry. ldapdelete – remove and entry. ldapmodrdn – rename an entry. ldappasswd – change a password. Debian wiki recommends backuping LDAP server configuration before trying to configure LDAPS, because breaking the configuration with the “cn=config” style would prevent the LDAP server to restart. We just started from scratch, so there is nothing much we can actually backup. If you generated your certificates using OpenSSL, you’re going to run into problems. Debian switched over to using gnutls a while ago, and it doesn’t play nice with OpenSSL certificates. 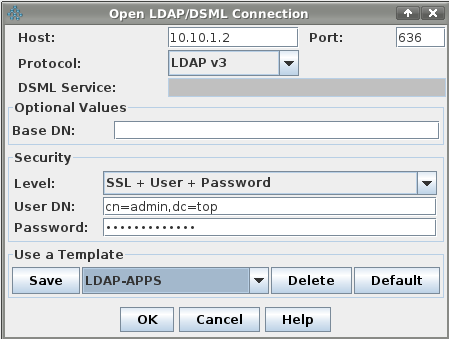 Create an ldif file to add the certificate sections to the OpenLDAP server. You may want to comment out TLSCACertificateFile if using a self-signed certificate. Verify. You need to have a gnutls-bin package installed. Feel free to check OpenLDAP documentation for other available log levels: http://www.openldap.org/doc/admin24/slapdconfig.html. The first ACL determines who can authenticate against the OpenLDAP server and change password (shadowLastChange). Admin account (rootDN) has complete access. Anonymous users are provided access to the userPassword attribute for the initial connection to occur. 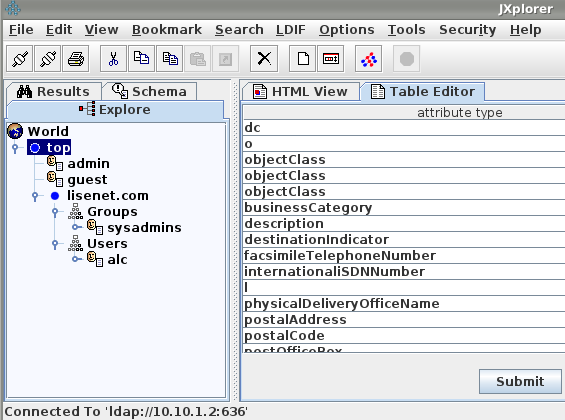 JXplorer is an open source LDAP browser. It should run on any java supporting operating system. This entry was posted in LDAP/Kerberos, Linux and tagged Debian, gnutls-bin, JXplorer, LPIC-2, OpenLDAP. Bookmark the permalink. If you notice any errors, please contact us.